Organizing your bedroom dresser drawers are just as important as organizing closets. 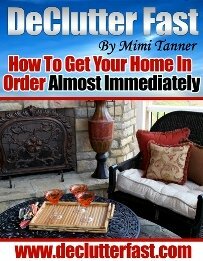 You need to make the most out of the space you have and be able to find what you need without having to dig through piles. Also, it’s nice to open your drawers and have them match the rest of your organized home! One drawer at a time, please! 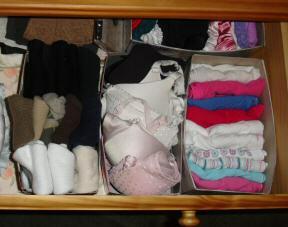 You can go on to complete all your drawers in one day if you prefer, but just in case you get interrupted, start with one at a time. Declutter –Empty everything out of the bedroom dresser drawer. This is a great time to decide if the items are something to keep, toss, or give away. Be honest with yourself… If you haven’t worn it in 6 months to a year, get rid of it. If it’s worn out or doesn’t fit, get rid of it. Like Items Together – Put similar items together… T-shirts, tank tops, shorts, socks, underwear, etc. Fold like items all the same way. 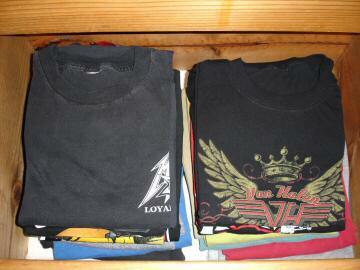 Then store them together in the same drawer or section of the drawer. On a side note, my favorite folding tool for t-shirts is the Flip-N-Fold. It’s great for getting all your shirts folded to the exact same size. Stacking vs. Filing – So, you have everything folded real nice and you’re going to stack everything into the drawer. It works, and that’s probably how most people do it. It does make it difficult though to know what’s at the bottom of your pile. And, if you want what’s at the bottom, you can mess up the whole pile trying to pull it out. The alternative method to storing your clothes in drawers is to “file” them, meaning to stand them up on an end (see below). To do this, you’ll need to fold your shirts one more time in half to make them shorter. File them this way and you’ll be able to see all your shirts or clothing items at one time and be able to pull them out or put them in without making a mess. One small disadvantage... if your drawers are deep, you miss out on the option to store upwards to the top of the drawer. However, in the photos below, both pictures are of the same amount of shirts, and there is still room to file more t-shirts in the center if I needed to. 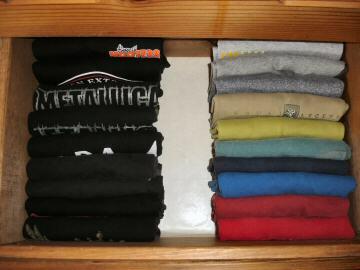 T-shirts stacked vs. filed in the bedroom dresser drawer. Compartmentalize Your Drawers – There are a variety of products to help you divide your drawers into smaller compartments and help prevent the items from spreading. There are expandable drawer dividers or little cubby type containers. These are especially useful for the bedroom dresser drawer where you keep your underwear, socks, lingerie, etc. This is my problem drawer… even though things are stacked together, they tend to topple over after some time. Home Made Drawer Organizers – If you’re on a budget, here’s a couple of affordable drawer organizer options. First, I considered cutting up cardboard boxes into strips tall enough to hold my piles in place, and notching them to cross and form little cubbies. What I ended up doing instead was collecting empty tissue boxes and cutting off the top side. They’re just the perfect size to put small items in and they can also be moved around within my drawer as needed. I had so much room when I was done, one third of my drawer is now empty! Current Season Clothing – Unless you have a lot of extra space in your bedroom dresser, you’ll want to put only your current season’s clothing in the drawers where they can be easily reached. Off season clothing can be stored neatly in a container in another area such as under the bed or in a closet. Finishing Touches – If you want to go the extra mile, you can line your bedroom dresser with nice paper. You can also toss in a sachet with a pleasant scent. Or, to do both tasks in one shot, line your drawers with scented liner paper! Be sure to revisit your bedroom dresser drawers regularly. If you notice things always sitting at the bottom or back of the drawer not being used, maybe it’s time to let them go. Use that valuable space for other items.